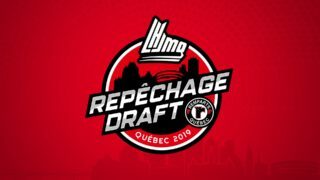 The Olympiques added two more players to their roster on Thursday after selecting forward Yaroslav Likhachyov and defenseman David Aebischer at the 2018 CHL Import Draft. Picked 22nd, Likhachyov, 5’11’’ and 168 lbs, spent the majority of last season with the Lokomotiv-2004 Yaroslavl U17, where he scored 16 goals and added 24 assists in 40 games. The right winger also collected 17 points, including seven goals, in 15 games with the Loko-Yunior Yaroslavl. 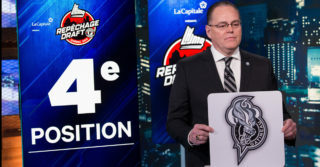 With their second pick, 82nd overall, the Olympiques picked Swiss defenseman David Aebischer. An offensive D of 5’10’’ and 183 lbs, Aebischer scored 15 goals and collected 40 points in 39 games with the Gotteron U20. 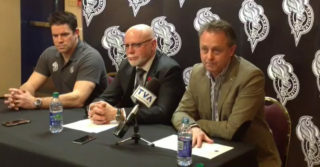 Gatineau had two picks in Thursday’s Draft after releasing forward Mikhail Shestopalov earlier this week.